Potato Chip Displays available for either a Convenience Store counter or free standing island type floor displays for small and large bags of chips standing as high as 53". Perfect Convenience Store Displays. Gondola Shelving is available in either double sided sections designed to stand in the middle of a store or single sided sections designed to sit flush up against a wall. Sections are available in either 3 or 4 foot sections to create the aisle length needed. 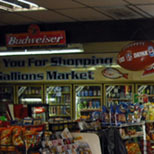 2 Liter Soda Bottles displayed on what is known as a Madix Gravity Feed shelving system compatible with either Madix or Lozier Gondola shelving systems. 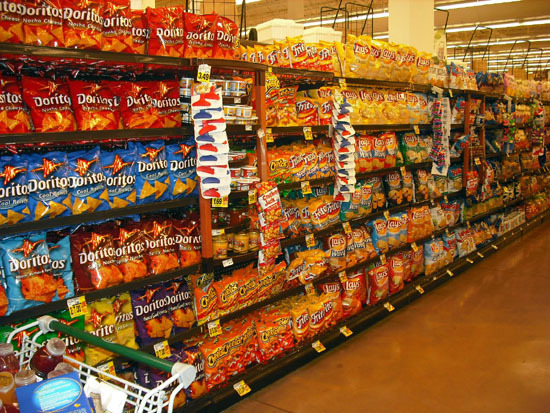 Large Chip Displays are constructed of standard gondola shelving configures with wire ship shelves with a front fence constructed in to the front of the wire shelf. 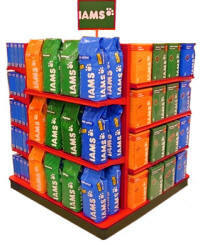 Chip shelves can also be configured with standard upper gondola type shelves and front shelf fencing. 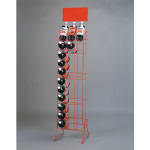 Candy Displays available for gondola store shelving and free standing countertop Candy Racks and Displays. 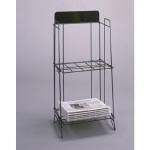 Affordable Free Standing Newspaper Racks for Tabloids, Magazines, and more. 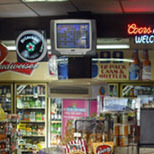 E System Sales, Inc. is one of the nations largest providers of Convenience Store Displays with all types of merchandisers and displays for the most likely displayed item in any Convenience Store all across the entire United States and Canada with affordable rates.